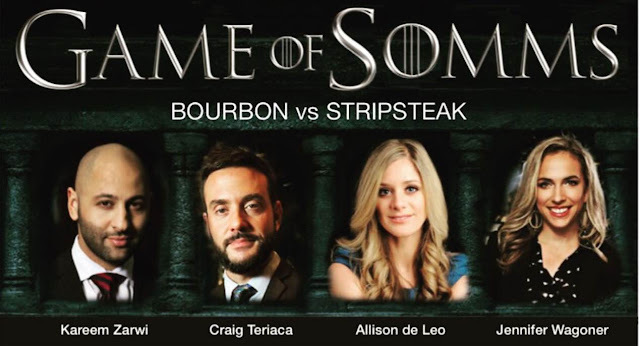 Game of somms went down on July 27, 2016 at the great Bourbon Steak. This battle of the sexes was a civil war that pitted Michael Mina's Bourbon Steak against their kin to the south, Stripsteak. Turnberry Isle v. Fontainbleau and riesling v. riesling too. It was the Thrillahh in Aventurilahh!! Not a bad tree to be under. Rajat Parr and Michael Mina. As my loyal readers know, I'm a huge fan of Bourbon Steak and it's not just about Chef Gabe Fenton and his team's amazing food. 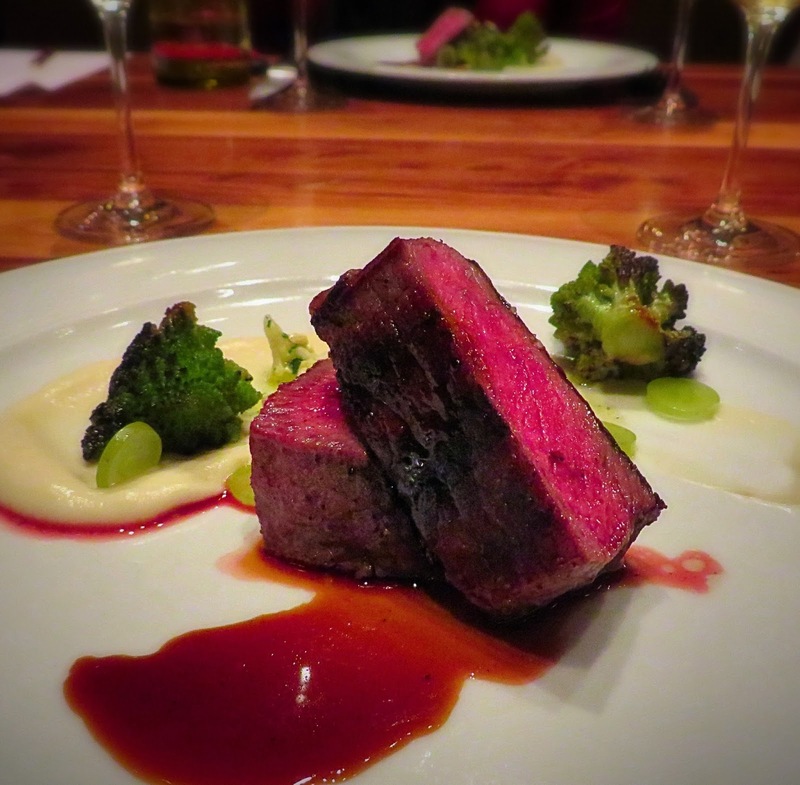 The service remains the best in town and the wine list is equally as impressive. Cocktails are proper too. But Stripsteak, another solid Michael Mina venture, didn't come to town to be the ugly step sister. 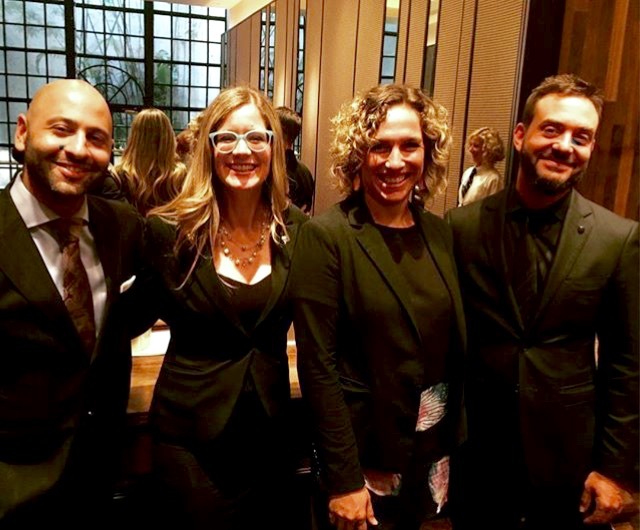 They've got game too and their sommeliers came to play. On a side note, although this night was about the wonderful wine, Chef Gabe knocked it out of the park (as expected and as usual). HEY JAMES BEARD PEOPLE YOU ARE MISSING THE SOUTH FLORIDA BOAT. Okay, back to the regularly scheduled post. I'll refrain from boring you with every detail about the meal and pairings. In a nutshell, it was a really enjoyable night and the type of night we should have more of in Miami. 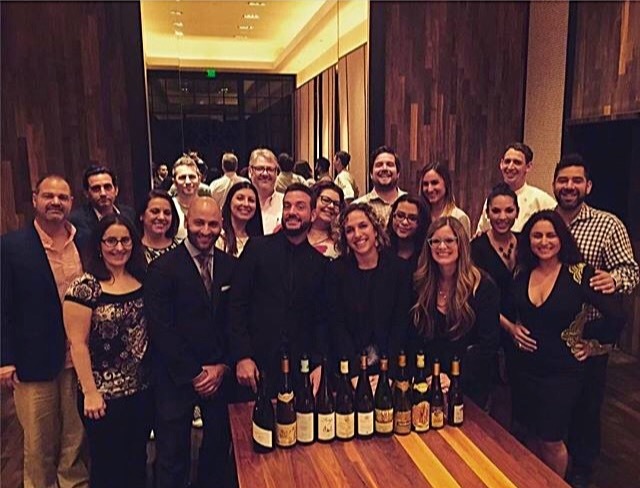 The camaraderie between the somms made the night a lot of fun. Both squads did a fantastic job with the challenging event. I had a very difficult time picking a winner in most of the courses and I'm not sure which team won on my scorecard. My selections are noted with an **. Bottom line - The Boys may have won the battle but the real winners were us diners in the private room. The ladies were rock solid too and I would highly recommend paying that dynamic duo a visit at Stripsteak. 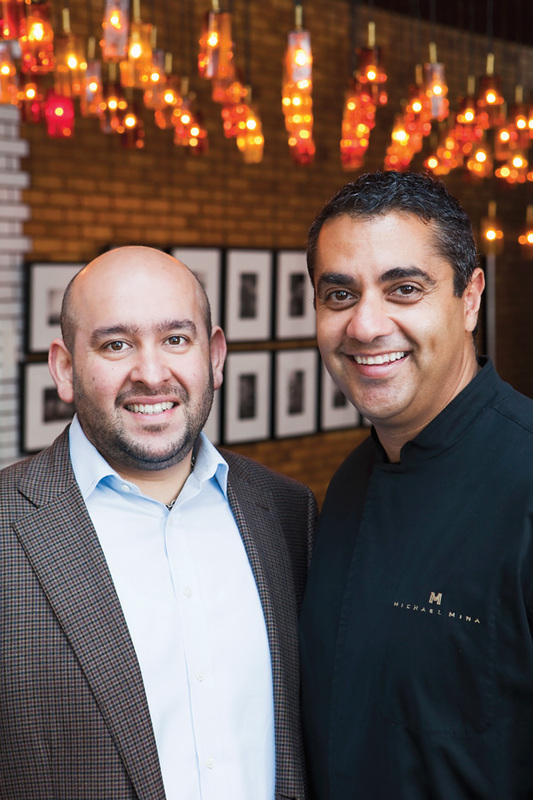 Stay tuned for The Walking Dead Somms War featuring a cameo from Rajat Parr. Local Wahoo Tataki, apple, jalepeno, cucumber, mint. Blackened Tilefish, salsa verde, cilantro, basmati rice. 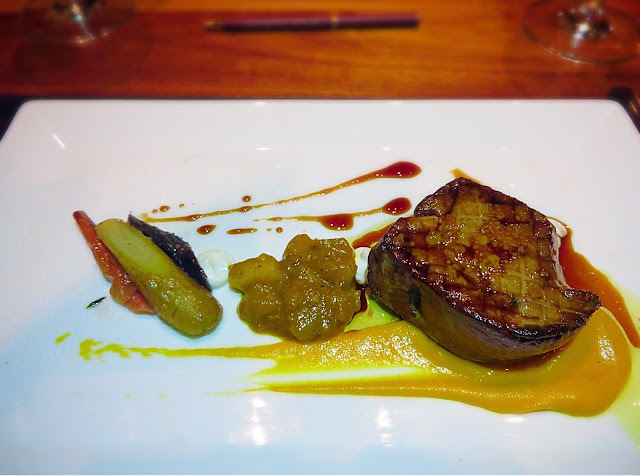 Of course, you can't play Game of Somms without the King of Foie. Game of Chicharones made a cameo appearance. To the King of the North!! Game of Somms ended on a sweet note thanks to pastry chef Patty Lopez. 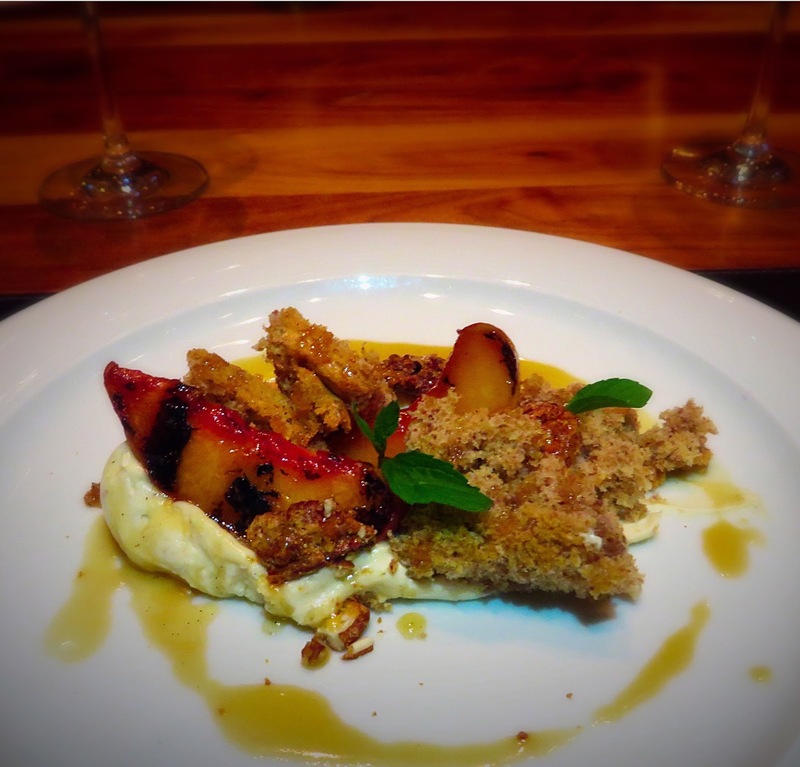 Peaches and Pecans - grilled peaches, pecan genoise, clover honey.